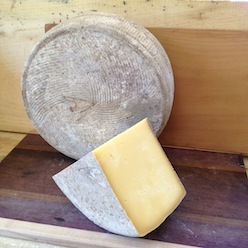 Parish Hill Creamery produces seasonal, hand made, raw milk cheeses. Peter Dixon brings over 30 years of cheesemaking experience and is joined in the endeavor by his wife Rachel and sister Alex Schaal. 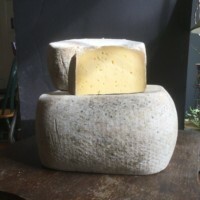 Parish Hill Creamery uses the milk from the Elm Lea Farm at the Putney School just five miles south of the West Parish Cheese House. The milking herd grazes on hillside pastures and the creamery produces cheese from May to October taking full advantage of the pastures, which yield milk with high aromatic quality and creates cheeses with complex, subtle flavor. 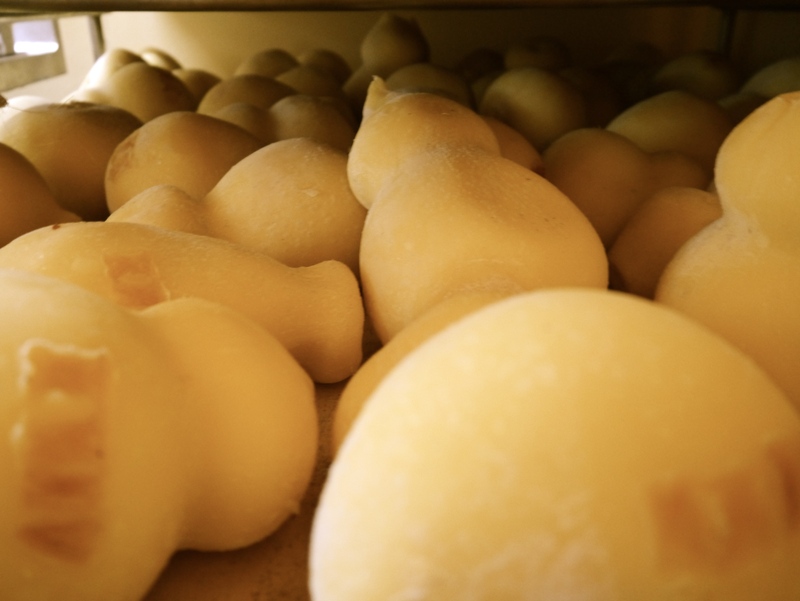 Fermented feeds are not fed during the production season of Parish Hill Creamery cheeses. In addition to the raw milk we use creamery-propagated cultures, traditional rennet, and Maine sea salt. 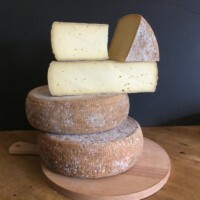 Cheese cultures are propagated continuously to maintain activity and, along with the raw milk microflora, create the fermentations that facilitate the cheesemaking and aging processes. Traditional calf rennet comes from Europe, and our salt is produced by the Maine Sea Salt Company in Marshfield by evaporating salt water. Smoked Kashar is made from the same curd as the Kashar and Suffolk Punch and is also aged for at least 2 months. Instead of going to the cave, Smoked Kashar is taken down the road to Grafton Village Cheese where Vermont apple wood provides a mild smokiness to this smooth and supple cheese. Smoked Kashar ages for at least 2 months, weighs 4 – 8 pounds, and is available in wedges. Whole wheels are available by special order. Hermit is a larger format, beer-washed Tomme. Rowdy Monk is a limited release, Belgian quadruple ale made by the folks at Hermit Thrush Brewery in Brattleboro, Vermont. aged at least 3 months. Wheels are 12 inches in diameter and weigh approximately 8 pounds. Four cheesemakers made the same cheese, or did they? What happens when we all follow one recipe, each use our own native cultures, use the same forms, and encourage wild rinds? In response to the ACS Judging Committee’s call for American Original cheeses, we hatched a plan to develop an approach to cheesemaking that demonstrates the elemental nature of the raw milk. By limiting the input variables, we allow the raw milk to determine the nuances of texture and flavor unique to each of our Cornerstones. Stones are 10 inches in diameter and weigh approximately 8 pounds. 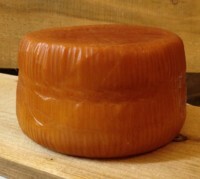 This traditional Tomma has a bright milky flavor and slight tang when young, becoming sharper and more robust with age. 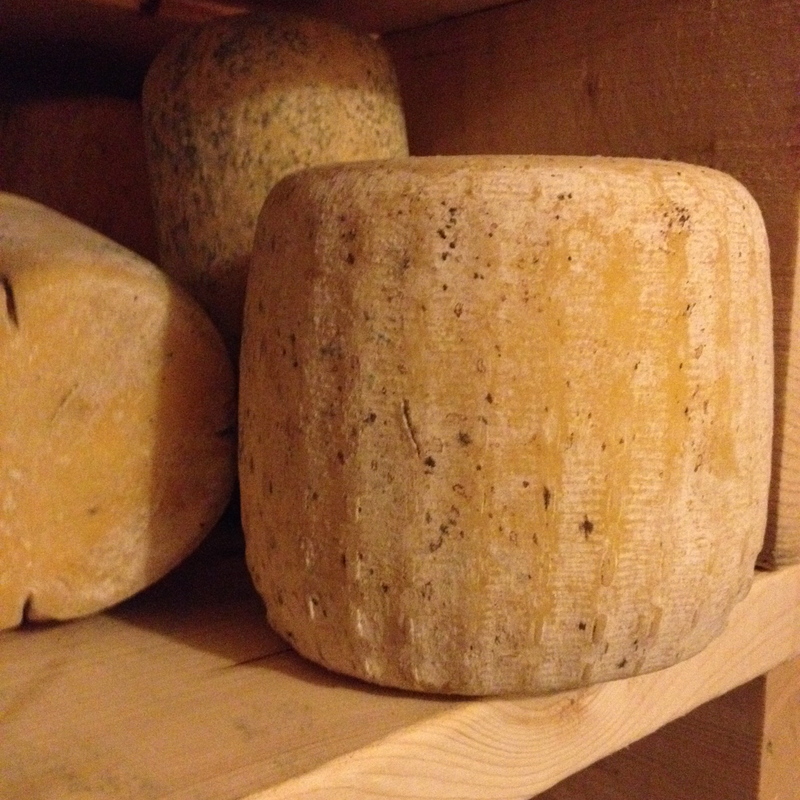 Wild molds are encouraged during aging resulting in rind resembling gray stone. Aged 5 to 10 months. Turkish Basket Provolone, aged for at least 2 months, then rubbed with olive oil and polished to create an edible rind. The interior is firm and smooth when young and becomes flaky and drier with age. The flavor is buttery, tangy, and somewhat peppery, with familiar picante notes.